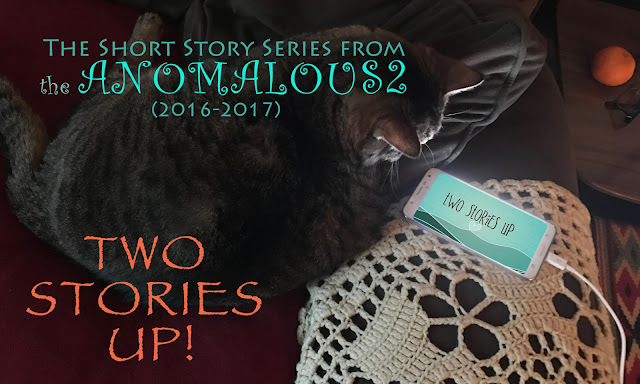 During 2016 and 2017 The Anomalous Duo (that would be my life/art partner Tammy Remington and I) worked on a collaborative project called Two Stories Up! Promotional video for the project HERE. AleXander - "Two Places At Once (Mobius January)"
Tammy - "Who's Walking Who"
AleXander - "The List (A Synopsis)"
Tammy - "Gravity Of The Situation"
Tammy - "The Universal Dog"
AleXander - "Command Control Plus/Minus"
AleXander - "Money Grows On You"
Tammy - "Where We Land"
Tammy - "His Father's Son"
AleXander - "Uniforms R Viral"
Please "clap" on Medium if you like a story. And do subscribe to our blog to receive updates.